CMS and private insurers are driving all areas of care from volume to value. Rehabilitation services are crucial to supporting your residents, but how do you maximize treatment time while restricting non-billable time? 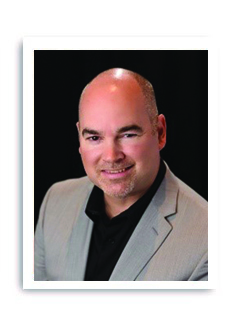 Join expert speaker Justin Border, OTR/L, to learn how your SNF can provide effective rehabilitation services, delivering the best outcomes possible in a limiting environment. Border will help participants understand their systems’ capabilities, implement a facilitywide program, and lead a team of rehabilitation professionals with a shared vision. Understand that therapy time as well as length of stay are limited, meaning nurses (as well as the rest of the IDT) must be oriented to supporting the treatment plan (i.e., residents out of bed, walking when necessary, transfers, etc.). This directly ties to MDS Section GG. How complete is communication during the admission process? If a resident is identified as needing more care, how do you figure that out pre-admission or directly following admission? The admission coordinator needs to broadcast upcoming/recent admissions and get initial authorization for residents, and then nurses will provide the initial assessment. Creating a process that is communicated throughout the IDT for each resident starts with your referral source. It is always a struggle to get complete and real information from the referral hospital to the SNF. Providers need to reach out and ask for the entire patient chart so that they are well-informed upon a resident’s arrival. How are you documenting outcomes—are you tracking them through a software program? How are you integrating that information into your facility’s proposition so that you get better referrals and get more political capital to spend? Providers have to build their own credibility. Justin Border, OTR/L, is the Founder and President of Titan Healthcare Solutions, LLC, as well as a freelance writer. Border began his career as an occupational therapist in 1998. He has developed and led multiple aspects of acute care, post-acute continuum, and senior living operations, including: rehabilitation, clinical services, human capital and culture, finance, managed care services, case management, and compliance. He has been a featured speaker at the American Occupational Therapy Association National Conference, the California Association of Healthcare Facilities Conference, and multiple other state and national conferences.